A modern Ferrari is a complicated machine, requiring a multitude of electronic controls to keep everything working as it should. In order to do any sort of work on these cars, a diagnostic tool that connects to the various control units throughout the car is an essential piece of kit. These tools start at £5,000 for an aftermarket unit and go over £30,000 for the latest factory kit. Even at those prices the tools are not the silver bullet that many people assume they are. Writing the cheque is only the start – at no point do the tools tell the operator what the problem is, they simply provide information that can be used in diagnosis. Apart from the lucky few who have been factory trained on the systems and diagnostics, operating these tools properly requires years of experience. So what options are there for owners? Fortunately, European and US law has mandated a certain amount of electronic information to be made visible. This is good news for owners of modern Ferraris (think 360/575 onwards). With a small investment in easily available kit one can start to unlock the mysteries of the engine management system. First of all an OBD interface needs to be purchased. Since most people have smart phones and tablets, it is not necessary to buy anything with a lead or screen. All you need is a small device that will wirelessly transmit the signals from the car to your phone. For Android devices I recommend an ELM 327 Bluetooth interface like the one shown below. 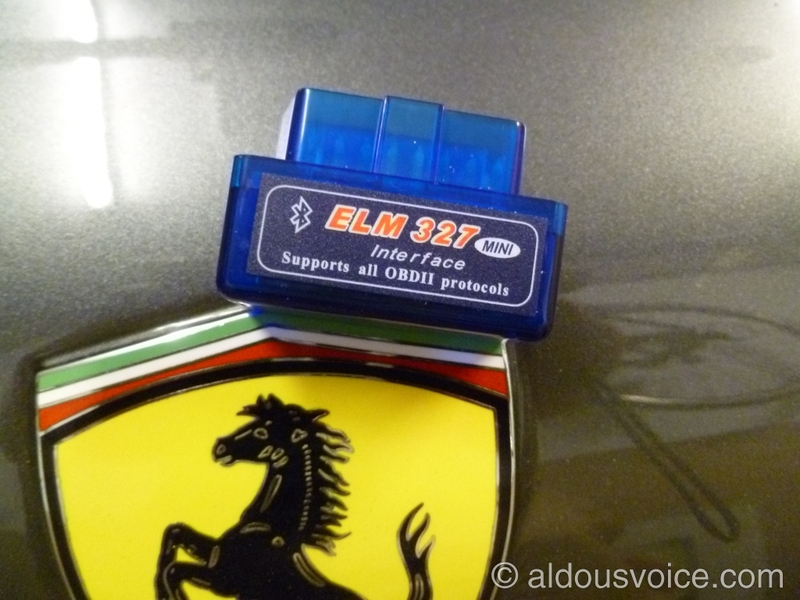 For Apple devices I recommend a ELM 327 WiFi device, similar to that pictured below. 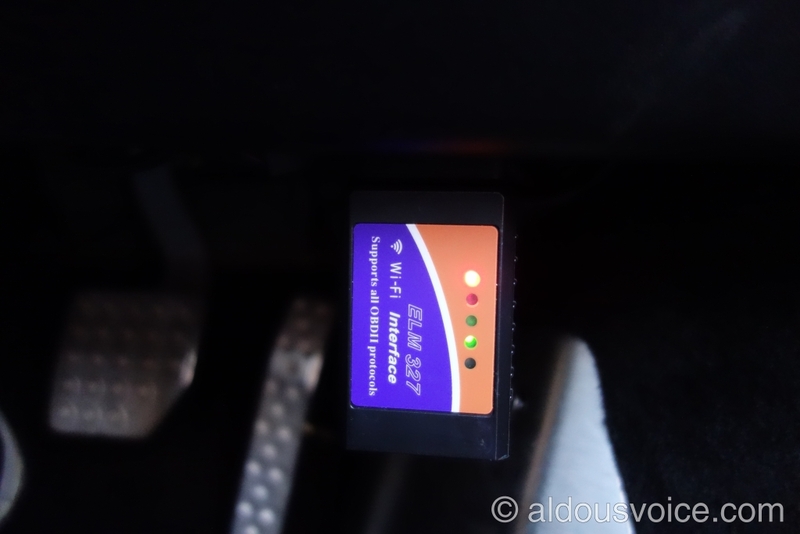 The device simply plugs into the OBD socket under the steering wheel. Please note that the unit draws power even with the ignition off so it is important not to leave it connected unless you want it to drain your battery. Next, a small piece of software needs to be installed on your phone/tablet. 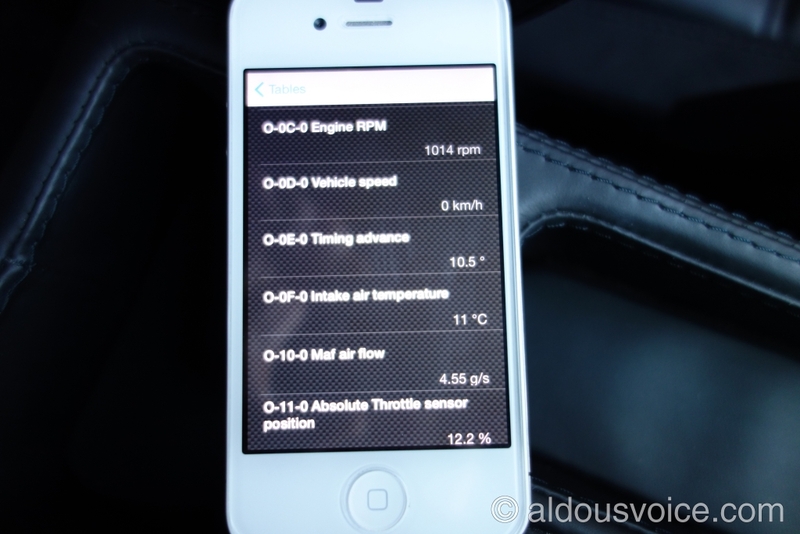 There are many OBD apps out there and all of them supply the same information. 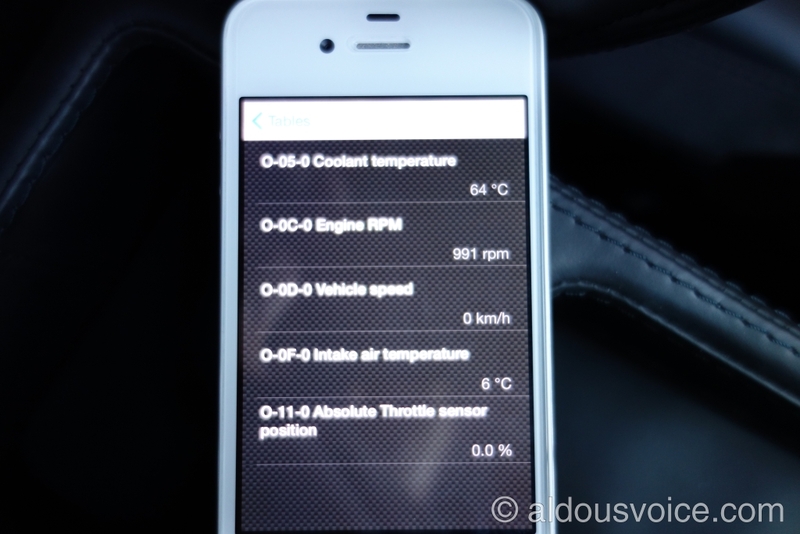 The most important factor when selecting an app is that it allows connection to both the left and right hand ECU. Many out there simply connect to one which means you’ll only get half the picture. 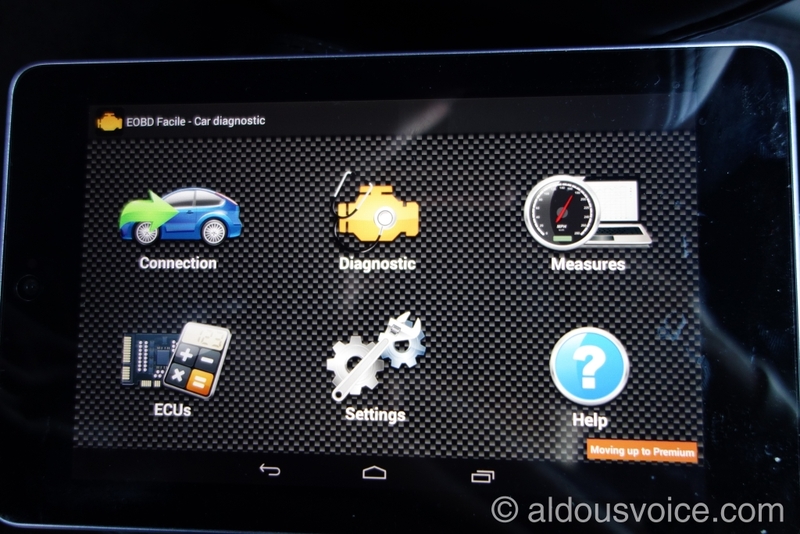 I personally use OBD Facile (pictured below) but I know of people successfully using OBD Fusion. It doesn’t matter which app is used so long as it allows connection to both ECUs. The ECU with the address 0x011 is bank 1-4 (RHS) and the one with the address 0x014 is bank 5-6 (LHS). Once connected to the ECU generic error codes and parameters can be read. Note that Ferrari only allow access to the codes and parameters mandated by law but there’s enough in there to keep an interested owner happy. In my opinion, the most important parameter that owners should keep an eye on are the fuel trims. Long term fuel trim (LTFT) and short term (STFT) should be available to see. Fuel trim is a parameter used by the ECU to fine tune the amount of fuel delivered into the engine. In very simple terms, the ECU is simply a big lookup table. For any given combination of input (such as airflow, temperature, engine speed, load, etc) the ECU holds a value corresponding to the time the injector needs to be open. 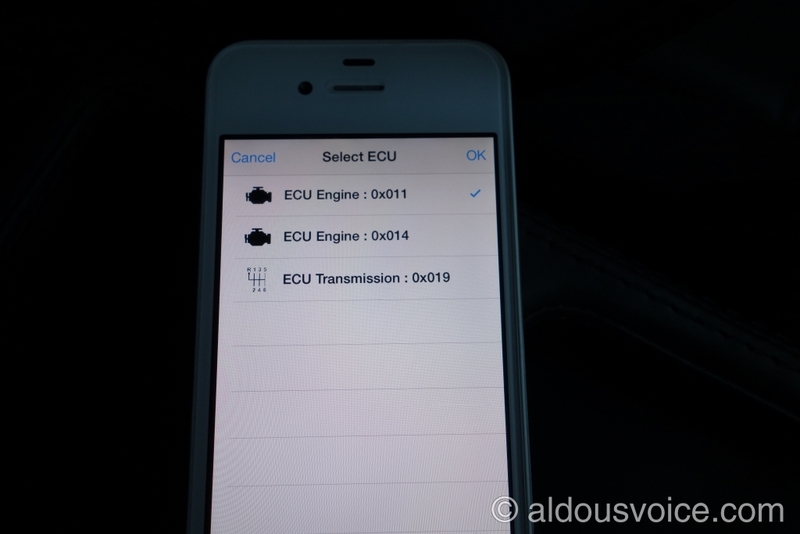 The ECU is constantly looking up these times as the engine conditions change. This allows the engine to run with the correct air/fuel mixture. At the same time as it is looking up the injector timings, the ECU is also receiving information from the Lambda sensors in the exhaust. These sensors measure the concentration of oxygen in the exhaust gases and feed the information back to the ECU. If there is too much oxygen in the exhaust the ECU will add a little more fuel as the engine is running lean. If there is too little oxygen in the exhaust then the ECU will reduce the amount of fuel as the engine is running rich. The objective is to keep the air-fuel mixture as balanced as possible in order to reduce emissions. This mode of operation is called “Closed Loop”. Closed loop operation is very good at keeping emissions low but it is also good at hiding problems with the engine and the management system. For example, a failing air flow sensor (MAF) would provide an incorrect reading to the ECU which would result in an incorrect amount of fuel being delivered to the engine. The ECU would simply correct this by sampling the exhaust gases (up to a point – there are safeguards built into the system). By keeping an eye on the fuel trims one can get an early warning of problems occurring. Normal fuel trims should be around ±5%. Anything beyond this could mean the start of a malfunction and warrants further investigation. STFT is the instantaneous adjustment being made by the ECU at that moment in time. LTFT is the average of the STFT over time. It is the latter that should be monitored. It should be noted that removing the power from the car (by isolating the battery) will erase the fuel trims. Many owners try to cure all manner of problems by resetting the power – such action will not solve any problem you may be having with your car. It may postpone a warning light appearing for a short period of time but whatever caused the problem to show itself in the first place will still be there. Resetting the power only removes important data about the state of the injection-ignition system (the fuel trims) which could prove vital in any diagnosis! Another excellent post Aldous, thanks. 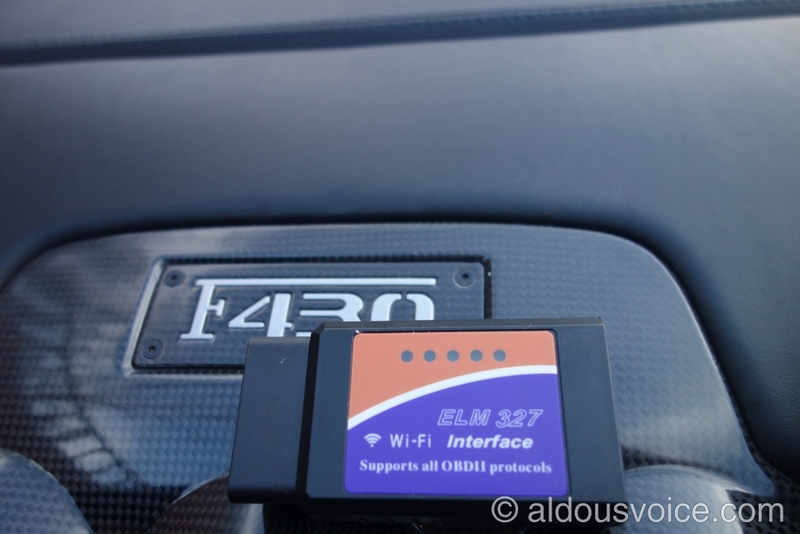 As you know, bought the ELM327 WiFi connector and downloaded the Outils OBD Facile as recommended. Once you had helped with the issue of picking up both ECUs with the immobiliser reset I was away! Hello Aldous. Thanks for your post. I’m a F430 Coupe owner and I would love to know the kind of data the Trasmission ECU shows with this ODB diagnosis tool. Thank you very much.